Congratulations to our newest graduate! Dr. Tanvi Rao graduated with her Ph.D. in Applied Economics and Management from Cornell University’s Charles H. Dyson School in Applied Economics and Management. She has been a Tata-Cornell Scholar from 2012-2017 where she has made exceptional contributions through her research on the multidimensional nature of the malnutrition problem in India. Thank you Tanvi! We are so proud of your huge accomplishment! 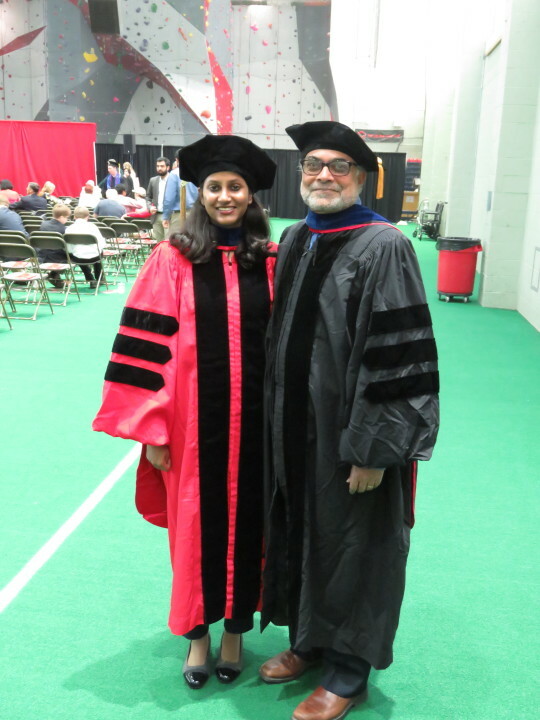 Dr. Tanvi Rao, TCI Scholar and Dr. Prabhu Pingali, TCI Director on graduation day.